What comes to mind when we reflect on the courage Catherine McAuley quietly embodied as the works of mercy and compassion for the poor claimed her heart and led to founding the Sisters of Mercy? Where do we find courage or fortitude throughout her life? And how did she nurture it through the spiritual practices she adopted? The theme and vocabulary of fortitude or courage is not particularly common in our mercy tradition with the exception of M. Joanna Regan and Isabelle Keiss’s work, but its reality is 1. Catherine drew on the spirituality of the Cross, of suffering with Jesus characteristic of her times. One invocation of the ”Jesus Psalter,” one of her life-long recited prayers, in the fifth petition pleads, " Jesus! Make me constant (or steadfast) in Faith, Hope, and Charity.” This is one devotion that explicitly limns one version of courage. We might recognize Augustine’s description of courage as “love readily enduring all for the sake of what is loved,” in Catherine’s life. Cor, the Latin root of courage means heart, while fortis, the root of fortitude means strength. In Catherine’s experience and in our own what is loved is Jesus, the charism of mercy, and its expression in her day and in our own. What is it we have heart for? Bernard Haring describes courage as the virtue of boldness and “strength of soul.” Fortitude or strength is the cardinal virtue that manifests as firmness in difficulties and constancy in the pursuit of the good . It enables us to overcome fear, even fear of death itself, and to face trials and persecutions when they arise. Joseph Pieper reminds us that “the essence of courage lies not in knowing no fear, but in not allowing oneself to be forced into evil by fear, or to be kept by fear from the realization of good 2.” Fortitude is also one of the seven “gifts” of the Holy Spirit as well as a habit or virtue lived into over a life-time. One can be empowered by the Spirit at a critical moment of threat or challenge through grace. With these understandings of courage and fortitude, where do you see them exemplified in Catherine’s life? There are many instances in our narratives of her life and the history of our congregation, as well as intimations in her letters that she sometimes felt anxiety or fear as she anticipated the future. Her reliance on the providence of God, and her deep trust in God saw her through these times of serious challenge. Her prayer, her “Suscipe” is one way she prayed herself into her deepest self-entrustment to God, asking God to take from her heart “all painful anxiety,” teaching us to do the same. If we focus only on Catherine’s adult years, her decision to accept the Callaghan’s invitation to join their household first in Dublin for a few months and soon after in the village of Coolock might be one such act of courage. While this arrangement offered comfortable housing and companionship, it did not diminish the climate of anti-Catholic prejudice which continued in the Callaghan household, forbidden as she was to demonstrate any “Popish” displays of devotion. However, as Mrs. Callaghan’s deputy, she assumed the task of looking after the needs of the poor cottagers on their land and in the environs of Coolock, helping her to recognize the needs of poor people not only for the necessities of life but also for religious instruction, kindness, and respect. There her inability to respond effectively to a servant girl at risk of sexual abuse stimulated her dream for a new way of protecting such women. During that time, there were two other pivotal courageous decisions. When she felt unable to defend her faith when attacked at table, which often included her own Protestant family members, she sought further instruction from her priest mentors in Dublin 3 . After this period of instruction, Catherine developed a facility for effective “apologetic” dialogue and also chose to express her faith more publically. She asked the Callaghan’s if she could use one of the carriages to attend Catholic Mass when they went to the Church of Ireland on Sunday mornings. And again, when she invited Mrs. Callaghan to consider being baptized, she was willing to risk any possible inheritance from the Callaghan’s. Within Catherine’s family circle, when she was staying with her brother-in-law’s family as her sister Mary was dying, she brought her sister back to the faith before she died. When Catherine told her brother-in-law that his wife had been reconciled to the Church, he was so enraged that he ran for a weapon, and Catherine ran in her dressing gown from the home down Military Road, while a maid slowed her pursuer down until Catherine was safely at a friend’s home. It took both love and great courage to return to the home when her brother-in-law sent the maid to find her, offer his apologies, and bring her back 4. Catherine had developed close relationships with key clergy in her life. She found mentors who instructed her in the faith, others who supported her dream of the house of Mercy 5 and provided advice and moral support, clearly understanding that she was not envisioning founding a new religious order. As women joined her and gradually began to live and look more like religious, some clergy turned against her, and the Bishop, then encouraged the lay community to become religious or else disband. While Catherine had never envisioned such a development, at fifty-two years of age agreeing to a novitiate took great courage, especially when she was unable to ameliorate the harsh treatment of Elizabeth Harley which resulted in her death soon after they returned to Baggot Street. Catherine herself was able to benefit from her novitiate, during which she developed a clearer understanding of religious life, and what in that experience was or was not compatible with her dreams for the House of Mercy, as well as embrace the time afforded for prayer, freed of responsibilities for Baggot Street community. Catherine was to have many more experiences with clergy who were supportive or not, responsive or not to her leadership as each new house was founded. Conflicts with the local clergy or the local bishop who had ultimate jurisdiction over each new foundation, were something she learned to adapt to for the sake of the foundation in question. On balance most were manageable for her, but she had to withdraw the sisters from Kingstown over the financial arrangements she could not resolve. The chaplaincy controversy with Dr. Meyler wore her down for years and she was never satisfied with the conclusion. Despite Catherine’s exquisite social skills and attractive personality, some clergy opposed her and her project. Catherine exerted considerable energy in framing such experiences as taking place within the paschal mystery and trusting that what God really wanted to happen would. Conflicts with clerical representatives of the church experienced today are nothing new. Although the circumstances and issues have changed over time, how does courage sustain us when we are challenged in similar ways within the ecclesial community today? Catherine was also courageous in developing innovative approaches in the works of mercy which are at the heart of the community’s charism. She built her “house” next to one of the most fashionable new neighborhoods in Dublin, which brought the poor into the same neighborhood for education, for employment in the laundry which served the wealthy, and in bringing the plight of poor women and girls into the public eye. In the light of health conditions in the poor neighborhoods where the sisters visited and cared for the sick/poor in their homes, she and the community were constantly at risk themselves of becoming ill. Death was a constant risk and reality to young and old alike in the new community which flourished, nonetheless. She clearly understood the influence women could have within their own spheres of action wheneducated and empowered to exert that influence. 1. M. Joanna Regan and Isabelle Keiss, Tender Courage: A Reflection on the Life and Spirit of Catherine McAuley, first Sister of Mercy. Chicago: Franciscan Herald Press, 1988. 2. In Len Perry. Transforming Self and Community: Revisioning Pastoral Counseling and Spiritual Direction. Collegeville: Liturgical Press, 2002, 85-86. 4. See Mary Vincent Harnett’s account in the Limerick MS in Mary C. Sullivan, Catherine McAuley and the Tradition of Mercy. Notre Dame: University of Notre Dame Press, 1995, 154-156. 5. Dr. Michael Blake and Dr. William Armstrong, and of course, Dr. Daniel Murray, Archbishop of Dublin. Note: Clicking on the downward arrow on each song will download the mp3 file onto your computer. What comes to mind when you think about courage in Catherine’s life? When in your own mercy life, have you been most courageous and steadfast? In this year of Consecrated Life, what courage do you need to overcome fear and anxiety in a difficult situation you are facing? Janet Ruffing, RSM, “Fire Cast on the Earth: Spiritual Implications for Mercy in the 21st Century” in Fire Cast on the Earth—Kindly”: Being Mercy in the Twenty-First Century. International Mercy Research Conference, 2007, 163-175. “The Core of Courage” in Kathleen Fischer, The Courage the Heart Desires: Spiritual Strength in Difficult Times. San Francisco: Jossey-Bass, 2006, 111-128. 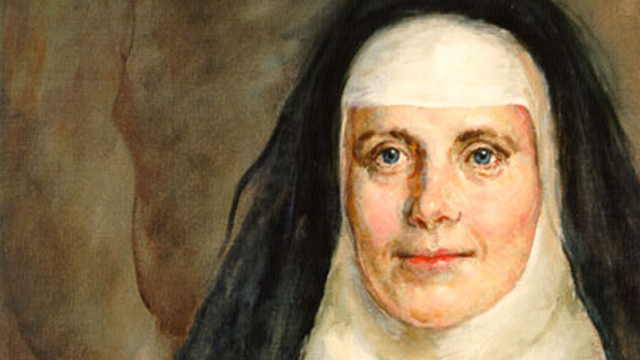 “Legacy and Challenge of Catherine McAuley” In M. Joanna Regan and Isabelle Keiss, Tender Courage: A Reflection on the Life and Spirit of Catherine McAuley, first Sister of Mercy, 127-152. Mary Doak, “Jesus of Galilee: Hope for a Globalized World in Despair” In Jesus of Galilee: Contextual Christology for the 21st century, Orbis: Maryknoll, 2011, ed. Robert Lassalle-Klein. 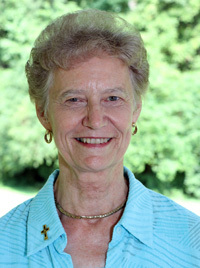 Janet Ruffing is a member of the Institute of the Sisters of Mercy of the Americas, WMW, and holds a PhD in Christian Spirituality from the Graduate Theological Union in Berkeley. She is Professor Emerita at Fordham University, Bronx, NY, where she directed a Masters Program in Spirituality and Spiritual Direction for nearly 24 years and which gave her the opportunity to teach and present in Asia, Ireland, France, Belgium, Switzerland, Canada, Australia, and New Zealand, as well as in the U.S.A.
Janet is currently Professor in the Practice of Spirituality and Ministerial Leadership at Yale Divinity School in New Haven, Ct. where she has been teaching since 2010.